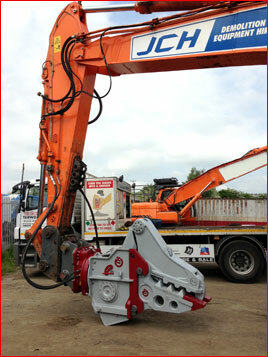 JCH Plant and Demolition from Airdrie recently purchased a new Kinshofer Multi-Quick Processor from Yarwoods. Owner James Currie had previously hired an MQP-30 with Shear and pulveriser jaws from Yarwoods hire fleet and was impressed with the strength and flexibility of the attachment. James said, “Having previously hired the Kinshofer MQP-30 I knew the quality of the product I was buying and as Yarwoods are an authorised Kinshofer dealer I know I can rely on them providing an excellent back up service“.